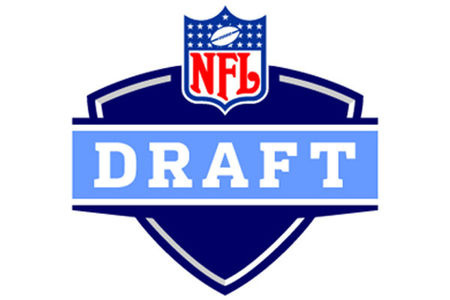 It’s that time of year again when all 32 teams in the NFL pay attention to college football’s greatest athletes who have the desire to continue their career in the League. As always, there’s tons of talent to be evaluated, and tons of room for improvement for some teams that didn’t perform too well in the 2017-2018 season, such as the Cleveland Browns, who finished the season with a record of 0-16, the worst in the league. As always, this year’s class of running backs is extremely talented and has a lot of players that can potentially make an impact on a team. The most recognized running back, and possible first overall pick in the draft, is Saquon Barkley from Penn State. Barkley is the ultimate three-down back gifted with a unique running style and great playmaking skills in the passing game. The next best, Derrius Guice from LSU, is an aggressive runner with the potential of making big plays. Ronald Jones from USC, Royce Freeman from Oregon, and Sony Michel from Georgia make up the rest of the top five running back prospects. This years class of quarterbacks is somewhat promising. Ranked as the best quarterback and potential first overall pick in the draft, Josh Rosen from UCLA is the most polished passer of the crew with great arm talent and solid fundamentals. Sam Darnold from USC, Baker Mayfield from Oklahoma (who gets compared to the 2014 first round draft bust Johnny Manziel), Lamar Jackson, and Josh Allen make up the rest of the top five quarterback prospects. The wide receiver class lacks star power at the top, but there are a number of pass-catchers with the potential to make immediate contributions as young players. Calvin Ridley from Alabama, ranked the best wide receiver, is as polished as they come at wideout with strong hands, excellent running skills, and precise routes. Christian Kirk from Texas A&amp;M is smooth and explosive as a dynamic playmaker on the perimeter. He can thrive in the slot or out wide while also delivering splash plays as a returner. James Washington from Oklahoma State is the most explosive vertical threat in the class with the speed, acceleration and burst to take the top off the defense. Deon Cain from Clemson is a productive playmaker with the speed and running skills to thrive as a catch-and-run specialist. Evaluators looking for pass-catching tight ends will find a wealth of options available in the 2018 class. Dallas Goedert from South Dakota State is a long, rangy playmaker capable of playing “above the rim” in the red zone. Hurst is a big-bodied seam runner with soft hands and outstanding “box-out” skills. Mike Gesicki from Penn state is a potential touchdown machine due to his length, leaping ability and volleyball background. He needs to refine his blocking technique, but his skills as a pass-catcher make him an intriguing prospect. Troy Fumagalli from Wisconsin is the next Badger tight end poised to make his mark in the league as a pass-catcher with credible blocking skills. There are a few pass rushers with size, explosiveness and finishing skills available in the 2018 class at the defensive end position. Bradley Chubb from N.C. State is the headliner as an ultra-athletic “big” rusher with outstanding quickness, hand skills, and energy. He is a Mario Williams clone with the disruptive skills to be a perennial All-Pro off the edge. Marcus Davenport from UTSA is a long, rangy edge player with the combination of speed and quickness to overwhelm blockers. He flashes dominant potential as a rusher, but might need some time to acclimate to the competition at the next level. Arden Key of LSU is the wild card of the bunch as an enigmatic playmaker with prototypical dimensions. He doesn’t play hard consistently, but his flashes are eye-popping. The pass-rushing defensive tackle is en vogue in a league that’s becoming more pass-centric. Maurice Hurst from Michigan certainly fits the bill as a disruptive interior player with a non-stop motor and superb hand skills. Vita Vea from Washington is a dancing bear on the interior with quick feet (he was a running back in high school) and strong hands at the point of attack. Derrick Nnadi from Florida State flies under the radar as an elite prospect, but close examination reveals a big, athletic DT with disruptive potential as a run stopper or pass rusher. As more teams opt for a hybrid defense, outside linebackers with pass-rush skills are becoming hot commodities in the NFL scouting community. Temaine Edmunds from Virginia Tech is an avatar on the edge as a long, rangy disruptor with explosive quickness and hand skills to wreak havoc. Harold Landry from Boston College was viewed as a potential top-10 pick prior to an injury-plagued senior season that hurt his stock. He displays cat-like first-step quickness and burst off the corner as a designated rusher in a versatile scheme. Malik Jefferson from Texas is a unique playmaker ideally suited to play a myriad of roles as a sub-package defender. He can drop into coverage or hunt the quarterback from a variety of angles at the line of scrimmage or from the second level. The top defenses in football typically feature a traffic cop in the middle with disruptive skills as a sideline-to-sideline playmaker. Roquan Smith of Georgia was a beast in the middle of the Bulldogs’ defense. He flashes a combination of athleticism, instincts and attack skills that could make him a star in an attack-style defense. Rashaan Evans of Alabama is a rock-solid defender with a violent game. He punishes tackles as a sideline-to-sideline player and fits the bill as a destroyer on the inside. Micah Kiser of Virginia is a tackling machine with a high IQ and superb communication skills. Josey Jewell of Iowa is a productive tackle-to-tackle defender with excellent instincts and leadership skills. The 2018 cornerback class is chock full of athletic defenders with ball-hawking skills and diverse games. Denzel Ward is a silky smooth cover corner with the speed, athleticism and quickness to step in as a lockdown corner from day one. Mike Hughes of UCF is a two-phase playmaker (corner/kick returner) with big-time potential on the edges. He is as smooth as they come as a corner, but he might rate even higher as a return man. Jaire Alexander from Louisville is an ultra-competitive corner with a rock-solid game. He missed part of his final season with injuries, but played well against top competition. Teams in need of safeties can find ballhawks or thumpers in the 2018 class. Minkah Fitzpatrick from the Crimson Tide is a Swiss Army knife in the back end with the capacity to play safety, corner or nickel in any defensive scheme. Derwin James from Florida State is a big, athletic safety with an enforcer’s mentality and a diverse set of skills. He can crush running backs in the box or attack quarterbacks off the edges as a designated rusher. Quin Blanding from Virginia flies under the radar as a versatile deep middle player with a high IQ. Obviously, mock drafts cause fans to get hype. Information for this article was taken from NFL and CBS Sports.